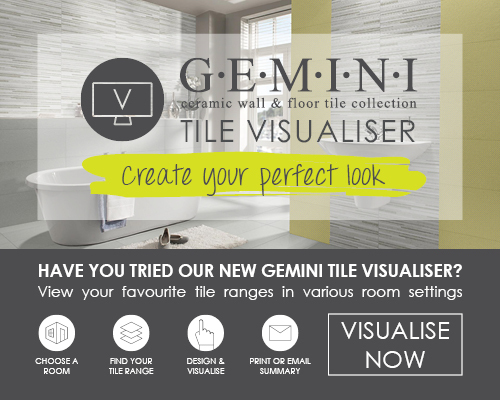 Along with expert tiling and fixing advice, we pride ourselves in being approachable and able to have fun with our customers, making your tile choosing journey an enjoyable one! 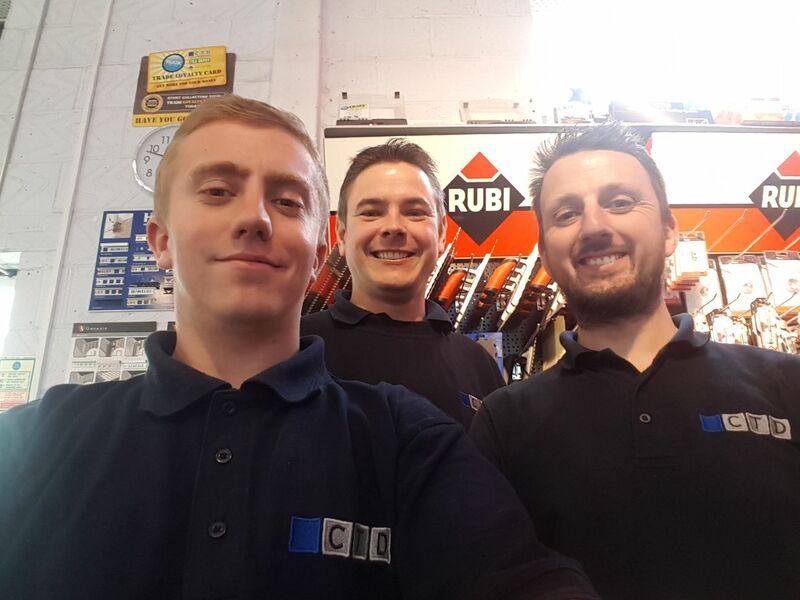 We have a team of four here at CTD Dorking, Myself, Branch Manager Daniel Allen, I have been with CTD since 2012. Our Assistant Manager Ken Rennison who has been with CTD since 2006, and Ashley Butcher and Simon Allan who both join us as Sales Consultants. 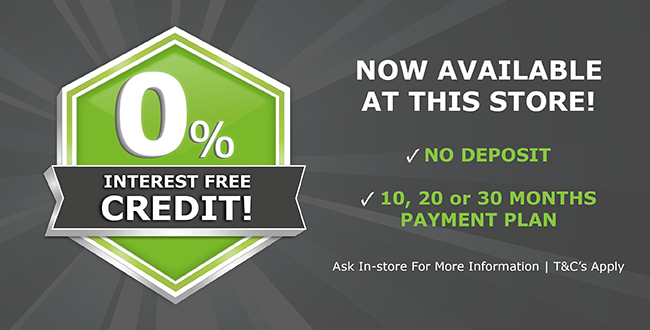 "If it’s a small kitchen splashback or a complete home renovation, everything we do in-branch we aim to do for our customers, to ensure they get the best and most enjoyable experience possible" – Daniel Allen. Do you have a project coming up or just need to do a small patch up? 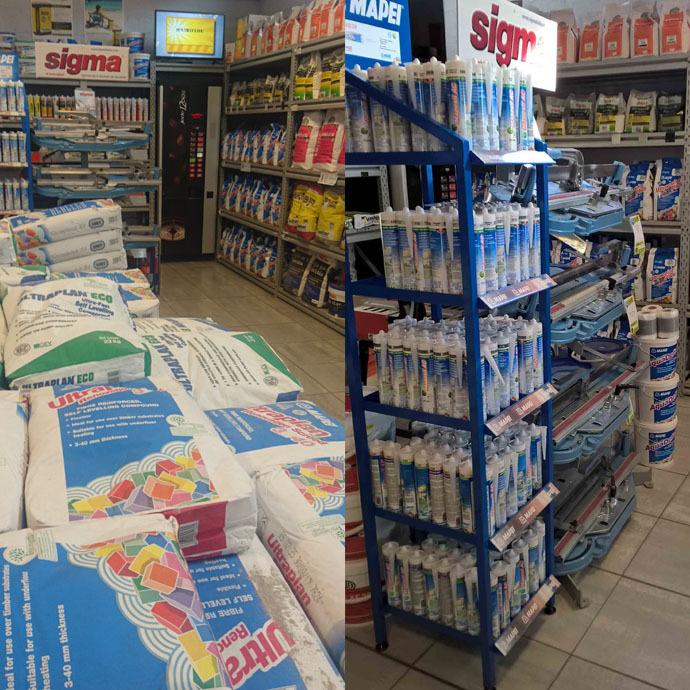 Then come down to our trade centre and see our massive range of grouts, silicones, adhesives and many other materials to get the job done! Charles Dickens wrote much of his "Pickwick papers" whilst staying in Dorking at the White Horse and based many of the characters on local people. The Dorking cockerel roundabout represents the famous Dorking variety of chicken, famous because it has a different amount of toes compared to ordinary chickens. 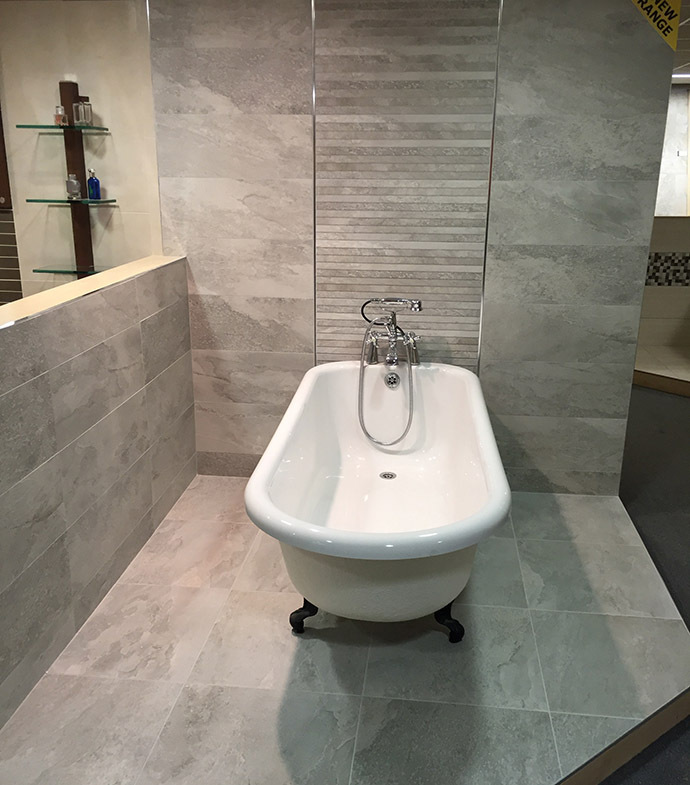 Why not have a browse in our upstairs showroom which has some great products featured as room settings to give you a better idea of look and colour.We currently have a number of in-store offers on products ranging from Natural stone, porcelain tiles and ceramic tiles.With a slate effect appearance, Nature is a great tile range if you want to achieve the natural look in your bath. 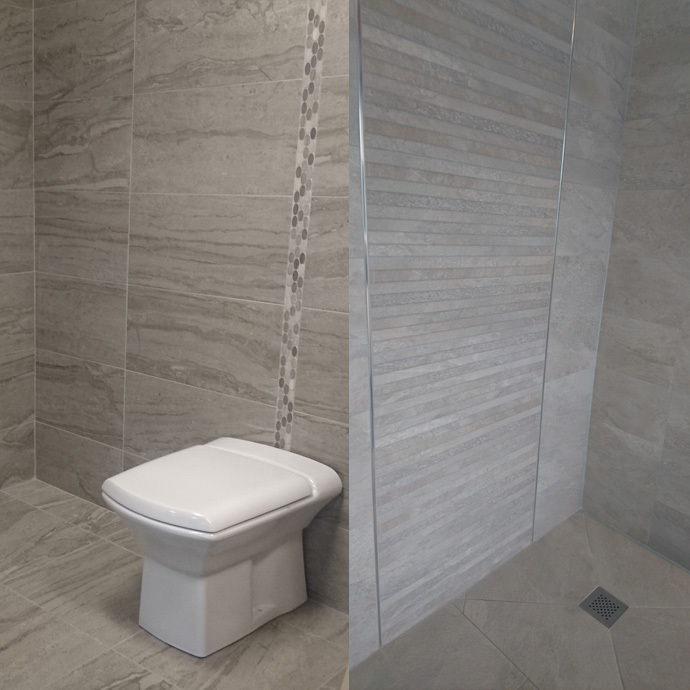 We also have a large range of wood effect tiles on display in our large upstairs showroom along with display settings of bathrooms with a wide range of different tiles. Treverkever comes in a variety of colour styles that can be used throughout your home as well as in your bathroom. It looks like real wood but has the extra benefits of a glazed porcelain tile.